Our primary expertise is in diamond drilling and wall sawing, utilising a range of modern equipment for market leading service and quality across London, Kent, Hampshire and Essex. Southern Drilling specialise in diamond drilling, floor sawing, concrete crushing and saw cutting alongside associated services including controlled demolition and general construction services like chasing. With attention to detail in our work standards, customer liaison and health and safety we’re proud of a reputation as a reliable, honest and highly technically skilled drilling and sawing supplier to construction in Kent, London, Hampshire, Hertfordshire, Berkshire, Sussex, Essex and Surrey. Providing everything from diamond drilling, concrete crushing and floor sawing to wire sawing and wall sawing, we are the South East's first choice when it comes to accurate, safe and reliable drilling and floor sawing solutions. Arrange your FREE site survey and no obligation quotation today; call our expert diamond drilling, concrete crushing, wall and floor sawing team now on 01474 822785. One of the most efficient, quiet and non-vibrating ways of forming holes and slots in a variety of structures, diamond drilling is ideal when keeping noise and disruption to a minimum is absolutely essential. Utilising dust and water control features as required, diamond drilling provides neat, clean and accurate holes through all types of blockwork, brickwork, walls and reinforced concrete. A very quick and effective way of cutting big openings in wall and surfaces using diamond blades, wall sawing offers accuracy, neatness and speed in abundance. Undertaken by our experienced and highly skilled team, our wall sawing service includes the use of track mounted wall saws to ensure the highest quality service at all times. As one of the UK's leading drilling and sawing specialists, we utilise the very best and the very latest floor sawing equipment and techniques to provide our clients with the highest quality floor sawing solutions, every time. Utilising this equipment and the expertise and experience of our talented team, we cut holes into even the toughest surfaces like car parks and roads. Whatever your floor sawing requirements, we'll provide the most cost effective and reliable demolition or floor sawing solution. 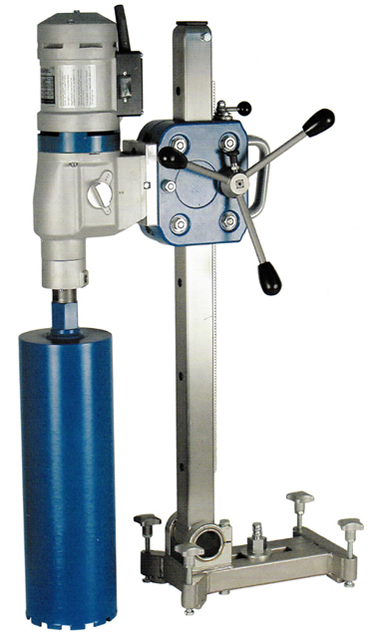 Our wire sawing equipment will quickly and accurately cut through any depth or shape of concrete structure. Utilising a diamond impregnated wire that's fed through pulleys to produce a saw cutting surface, our wire sawing equipment makes light work of any surface or structure, making it ideal for any controlled demolition projects. Even with such a specialist drilling and sawing service, we still take immense pride in providing an exceptionally high level of technical competence. Indeed, all our operatives hold current NVQ qualifications in all relevant trades. Over the years, we've won a large amount of repeat work and recommendations, based on a high quality finish, a reliable, proven and professional service and the additional support of good administrators and detailed health and safety documentation. Just one of the reasons why we come so highly rated is because we leave every single diamond drilling or wall sawing project tidy, complete, on schedule, on budget and will all the relevant paperwork properly filed. Our diamond drilling, wall sawing, concrete crushing, wire sawing and floor sawing team offer incredible depth in experience and a wide range of qualifications and certifications in all aspects of diamond drilling, floor sawing and controlled demolition services allowing them to carry out work in hard to reach, high risk or confined spaces. With IPAF certification for equipment like scissor lifts and cherry pickers and recently gained CCNSG for a power plant project, everyone is CITB approved and the company is a member of Constructionline so whatever your diamond drilling project requirement they can already provide it or train to meet it before commencement. We offer our floor sawing and diamond drilling services to commercial and industrial customers across Kent, Hampshire, Surrey, Sussex, London and Essex. Our expert team have recently completed projects for clients in Bromley, Chatham, Hemel Hempstead, Canterbury, Gillingham, Dover, Basildon, Faversham, Stevenage, Maidstone, Slough, Ashford, Croydon, Beckenham, Orpington, Dartford, Portsmouth, Tunbridge Wells, Southampton, Colchester, Hastings, Chelmsford, London, Tonbridge and Rochester.